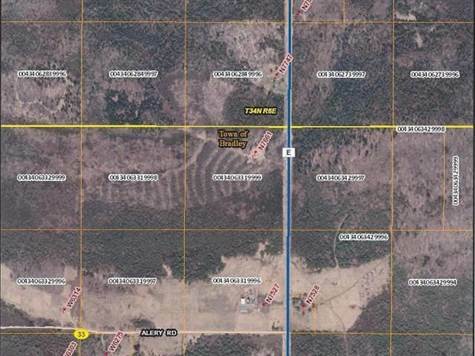 CTH E VACANT ACREAGE - Check out this large acreage parcel! 120 acres off Cty Rd E. This vacant parcel is all ready for building a home or cabin. This would also be a perfect parcel for hunting. There are plenty of trees with some hardwoods. Sellers have a trail system running into the property. Perfect parcel for recreation and not far from Tomahawk.